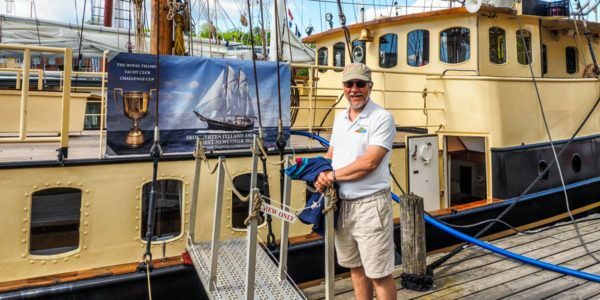 In 2017, the Tall Ships Races (TSR) visited the Baltic. 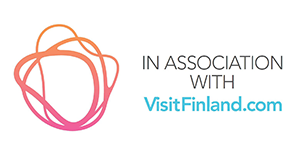 Finland got to host the fleet twice, first in Kotka and the next week in Turku. Perhaps it was due to the fact that Finland celebrates its 100th anniversary in 2017 that the special privilege of two host cities from the same country had been granted us. The boats arrived in Kotka after the first race leg from Halmstad. After a few days of festivities in Kotka, the race continued with the Cruise in Company leg to Turku. Having the Cruise in Company leg between two Finnish cities gave smaller vessels the rather unique opportunity of sailing (or motoring, as the case might be) in-shore through the Finnish archipelago. The schedule was rather tight for a proper archipelago experience, but most of the B-class and smaller ships took the opportunity and I had the chance to do the Cruise in Company leg on-board the Danish schooner Jylland. Welcome to share my Tall Ships 2017 in Finland experience! Jylland is very special ship. It is the all-year home for young people who need a safe environment to grow up. Jylland is run by the Andromeda foundation and has reached very good results in rehabilitating youth back to studies and normal life. It was a real privilege to share a few days with these youngsters and the rest of the crew. Practice makes perfect they say, and that is what I did with the TSR. I had the chance to sail part of the Cruise in Company leg “in reverse” with the Swedish brig Tre Kronor a few weeks prior to the actual event. Tre Kronor were on their way to St Petersburg for the Scarlet Sails event (where Tre Kronor is the star of the show). Tre Kronoer conveniently stopped over in Kotka so I got a small taste of the Tall Ships Races on that very beautiful ship. I boarded Jylland in Kotka on Saturday so I had a day to sample the TSR event in Kotka. The ships were moored on the north side of the city center around the Museum center Vellamo with the Finnish Maritime museum, a very appropriate location for the event. In addition to visiting all the ships and sampling food in the numerous food stalls around the quays, there was of course also the customary Saturday night Tall Ships Races fireworks. When the TSR fleet leaves a hosting city, it is always a major event. The Parade of sails was followed by lots of boats and many more people watching from the shore. A very nice farewell! After the parade in Kotka, Jylland set out on the Cruise in Company leg towards Turku. During the Cruise in Company leg, the race is off and the ships can sail their route at their own pace. A few Finnish cities and municipalities were designated as “official” stop-over locations for the leg. Jylland however wanted to visit some more exotic locations so I suggested an alternative itinerary for them which we then followed. The first night was spent anchored of the island Bockholm where also Malcolm Miller from Aberdeen spent the night. The next harbor was a bit of a puzzle :-)! It turned out to be one of the most unusual islands in the Gulf of Finland, the island Jussarö. What makes Jussarö unique is the abandoned iron mine. The mine was initially established already in the 19th century, but the abandoned buildings on the island date back to the short period 1961-1967 when the mine was in operation in modern times. You can get an impression of Jussarö from this video. Having left Jussarö we rounded the “Cap Horn” of Finland, ie the Cape of Hangö, the southern-most tip of Finland. Our destination was the island Rosala and the sheltered marina there. Perfect location for anchoring, even with a big boat like Jylland. The final destination was of course Turku, the second host city for the fleet in Finland. The Tall Ships fleet lined both shores of the Aura river that runs through the city. The festivities in Turku ended, as usual, with a Parade of Sails on Sunday evening as the ships left Turku and headed for the starting line of the next race leg out by the lighthouse Utö. After the narrow passage south of Ruissalo, the fleet filled up the firth of Airisto. It was great to see so many ships also under sail! Special thanks to the skipper and crew of Jylland how having me!